When Civil War chose to lay the groundwork for Spider-Man’s costume at the feet of Tony Stark rather than Peter Parker, we all knew it meant there was going to be some techy-upgrades to the classic Spidey Spandex. But new footage from Homecoming gives Peter a new trick up his... well, not-sleeve that’s straight out of the Iron Man playbook. Released ahead of a new trailer coming tomorrow, the short snippet reveals that one of the design hallmarks of the Spider-Suit—the actual spider-emblem itself—is actually a Stark-ian bit of kit. It can jump off Peter’s chest and operate as its own little Spider-Drone. It’s a neat twist on Spidey’s design aesthetic—and somehow even more high-tech than the current, electronics-enhanced suit Peter wears in the comics at the moment. 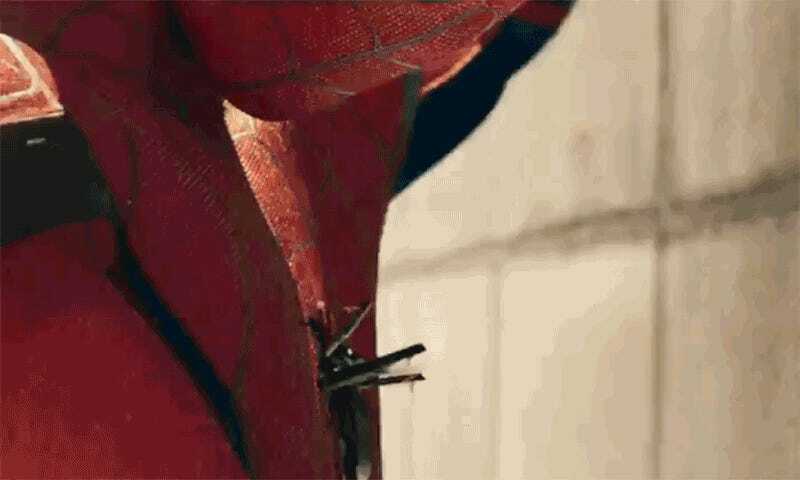 But the reveal also seemingly indicates that a lot of the rumors we’ve been hearing about the Spider-Suit in Homecoming are true. The ones that makes it sound like Tony Stark did a little more than just whip Peter up some nicely color-schemed spandex when he offered to make the costume—and that this Spider-Drone is not the only Iron Man-esque enhancement Tony has made to the suit. Between all this this and the telescoping eyes, it seems like the MCU’s incarnation of the webslinger will be one of Marvel’s most tech-infused takes on a hero yet. Pretty much the only more extreme Tony-Stark-related option than this would’ve been to give Pete the Iron Spider costume already! 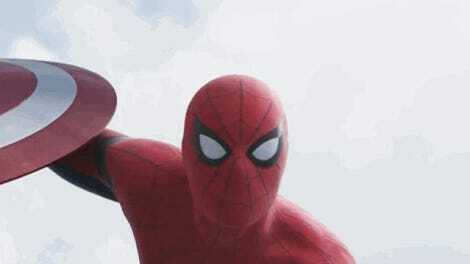 Spider-Man: Homecoming is set to hit theaters July 7.